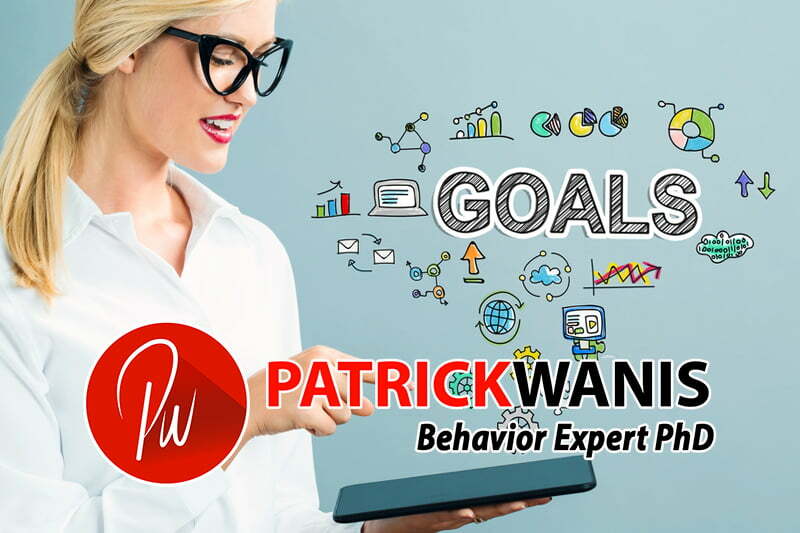 Jan 1, 2014 /2 Comments/in Success Newsletters /by Patrick Wanis Ph.D. In this week’s Success Newsletter, I would like to reveal the single greatest success strategy for the New Year – and it’s not goal setting. Watch my seventh annual list of the top celebrity meltdowns along with my insights on FOX News Channel. Click here to watch the video. Are you looking to boost and deepen your relationship in the New Year? Read my article that offers the one tip – in the form of a question – which can truly transform your relationship. Now, let’s talk about the single greatest success strategy for the New Year – and it’s not goal setting. It’s the same process at the end of every year, we cry foul about what a bad year it has been, we celebrate the end of the year by welcoming the New Year and we make a heap full of wishes and preferences (New Year’s Resolutions) about how the New Year is going to be best year ever. And then, within a month or two we find that we have lost all drive and passion because we either failed to follow through with our New Year’s Resolutions (wishes and preferences) or we did achieve them momentarily only to fall right back where we were before i.e. The Yo-Yo Effect. And so the process continues and repeats itself – we set goals and if we achieve them, we still feel unsatisfied or, if we don’t achieve them, we feel like losers and failures. What then is the answer to finding peace and a sense of achievement and happiness? And is there a difference between winning and success? The secret is in the process. In 1963, John Wooden, a coach from rural Indiana, created a legend with the UCLA basketball team. Coach Wooden led his teams to win 10 national championships in 12 years; record wins that are still unmatched in the world of basketball. He achieved this record without ever using or saying the word winning to his players. He focused on building the character of each of his team members, helped them to realize their potential, and helped them to use all of their abilities on a consistent basis. He focused on the process rather than the outcome. And the successful outcome was the result of the process. In other words, Coach Wooden was emphasizing the process – what we do on a daily basis – the journey over the destination – character over reputation – success over winning. Another perspective is to view yourself or your business as if you are growing a plant – you place the focus not on the fruits, but rather how to make your business bear its desired fruits. Accordingly, you can set goals as part of a vision but you focus on the process of what is required to achieve those goals. Focusing on the process rather than the outcome makes you move forward. Committing to the process is what makes the difference and that which leads to excellence and success. The process is about concentrating and doing those things that actually cause and bring about success. The process comprises of daily habits. Here is an example of a practical application of this teaching which is to focus on a process and a system. The number one New Year’s Resolution every year is to shed weight or size. The typical strategy is to set a specific goal of “how much you want to lose/shed” – something measurable. Focusing purely on the intended outcome, some people work hard and starve themselves, count calories and sweat on the treadmill; they achieve the goal and then feel unhappy because they didn’t really enjoy the process, can’t sustain it and thus, they fail and start all over again, and it quickly becomes a Yo-Yo Effect. However, the successful strategy – the process or system – works by instead focusing on the process of living healthy – such as eating healthy, exercising, and releasing negative emotions. The focus is not on winning that initial goal; the focus is on the way you want to live on a daily basis. And that implies new daily habits. When you choose to focus on the process, you stop worrying about what others will think of your performance and you choose for yourself how to rate your performance, while also viewing every attempt and habit as practice for the next attempt and habit. This approach creates more momentum and inspires you to keep progressing. You can plan for progress and success by setting goals but you will only make progress and feel successful by committing to a process or system. And you can always adjust and change your process, your daily habits to ensure you are giving forth the greatest effort tied to success. Remember that life is truly lived and experienced in the present, not the future; happiness is a process, not a place or one specific achievement. When you tie your happiness to something off in the future, it simply brings about frustration, disappointment and a sense of hopelessness. Of course, that does not imply hedonism or a lack of vision; it simply shifts the connection to happiness from the future to the present moment. When you engage in a process of positive daily habits, you create greater happiness, pride, empowerment and self-esteem. You can post your comment on this newsletter below.